Google Docs lets you create, share, and collaborate on documents online. And it just got better with rebuilt editors for documents, spreadsheets, and drawings, designed to improve collaboration, increase speed, and create richer documents. Once you have all of your course content together, it’s time to put them in the most suitable format to deliver to your audience. In most cases, it’s time to choose an eLearning content authoring tool. There are quite a few different types of tools on the market ranging from web-based or installed screen recorders, to PowerPoint plug-ins, right up to full-featured content authoring tools. Most people use one or more authoring tools and because everyone has their own idea of which one is the easiest to use, it’s worth making use of the free trials to see what works for you. This will most probably not be a quick process. In fact it’s best that you take your time and choose wisely because these tools are often not cheap, nor will you find them easy to use just because someone else does. One authoring tool you will most certainly have heard of is Microsoft PowerPoint. Although you may only think of PowerPoint for creating presentations, these days it can be the core foundation on which you build the bulk of your courses. This is great news because it’s a familiar system that you probably already own, so that makes the learning curve a lot easier. Articulate Articulate offer a full suite of easy-to-use authoring tools to turn your content in to Flash-based eLearning that outputs to the SCORM Format for easy delivery via LMS. Their products include Articulate Presenter 09, Quizmaker 09, Engage 09, and Video Encoder 09 or you can purchase Artiulate Studio to get all of the tools in a bundle. While ease of use is one of the major reasons people like their products, another awesome benefit is the very large, active, online Articulate community who are there to answer your every question along with the added benefit of design tips, how-to’s, FAQs and video demos. Available for PC only. Using Adobe® Captivate® 5.5 software you can rapidly author professional eLearning content with advanced interactivity, software and scenario simulations, quizzes with every bell and whistle you can think of, and other engaging experiences. Output to multiple different formats like Flash and Video, including SCORM for delivery via LMS. Available for PC only. Rapid Intake offer a few different products, their most popular authoring tools being Unison and Proform. Unison is a web-based authoring tool to collaboratively capture, storyboard, develop, review, test and publish Flash and HTML5-based courses which are SCORM compliant for easy delivery via an LMS. It goes without saying that the cool thing about Unison is being able to have multiple authors collaborate on one piece of content. Proform is a single user authoring tool for desktop use to create Flash-based eLearning courses. Courses published are also SCORM compliant for delivery via LMS. Use Camtasia to quickly get started recording your interactions with the screen be it on a PowerPoint or on-screen demo. Record or overlay audio, add effects and Picture-in-Picture (PIP) to produce high quality, professional looking videos. Once you get used to the timelines lay-out, they are easy to edit, cut and add to. You can also create assessment questions to intersperse throughout a presentation. Output to multiple different formats like Flash and Video, including SCORM. Available for Mac and PC..
JingProject (Mac or PC) Free 5 minute screen recordings with audio and a little Jing branding, which can be exported to SWF. You can also take screen shots which produce as .png. Plus, there’s a Pro version with no branding, and more options including upload direct to YouTube and produce as MPEG-4 (or .swf). Super easy to use but you’re restricted on editing and adding effects. Screenr Articulate’s web-based screen recorder. Nothing to download and you can publish to anywhere on the web or straight to Twitter and it plays on the iPhone. WHY can't my Wireless LAN just work? Simplify BYOD Now! Here is video on why we need more then just consumer grade networks with in our systems. A quick overview of the e-learning structures, e-learning factors, advantages and disadvantages. E-learning in simple English. An overview of the importance and benefits of eLearning. This video also shows some of the work we have been doing with universities to develop video lecture content. This presentation provides an overview of IDOL: Instructional Design for Online Learning. IDOL is a ten week online course that teaches faculty the best practices for designing on online course. In 1997, Julie Young, President and CEO of Florida Virtual School (FLVS), launched the first statewide, internet-based public high school in the U.S. Since then, FLVS has become the nation's largest and most influential virtual education program for students K-12, reaching students all over Florida, the U.S., and the world. The recipient of numerous awards, FLVS provides a student-centered educational experience that leverages technology to transform education worldwide, one student at a time. 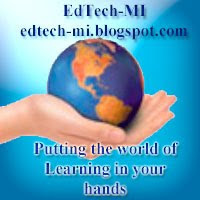 University of Michigan professor Elliot Soloway discusses the need for effective use of technology in the classroom. They discuss the reasons why smart phones (cell phones with computing capabilities) are the educational gamechanger of the future. Best audio player to listen faster, learn faster and have a iphone player experience. The learning experience with speed listening has a futuristic quality. "I think you'll find as I do that when you listen to audio material at a faster than normal rate, your comprehension and retention of the material improves dramatically. Instead of getting bogged down in the low level details and examples, you emerge with a clear sense of the big picture. To me it almost feels like I'm downloading ideas directly from the author's brain." How do we define intelligence? I think we need to step back and look at what we are doing and change the why we grade, give out home work and the activities with in the room. Lecture is only for a few student and doesn't reach all learners. So think about how we can flip instruction energize creativity and help all student to reach the greatest potential they want into the future. Howard Gardner, one of Ross School's founding mentors discusses "Five Minds for the Future" at the 2007 Ross Institute Summer Academy. In order to rebuild the current education system we need one thing to get this done that is very important. It is Trust, the trust of our leadership the trust of the community and the trust of the teachers that we are all in this together for the students. Go to this site a enter you poll opinion. Should teachers be required to tack tech training. Two new cloud services have been unveiled this week and with them come a new concern, privacy. We take a quick look at Microsoft and Google's TOS to see who protects you the best.